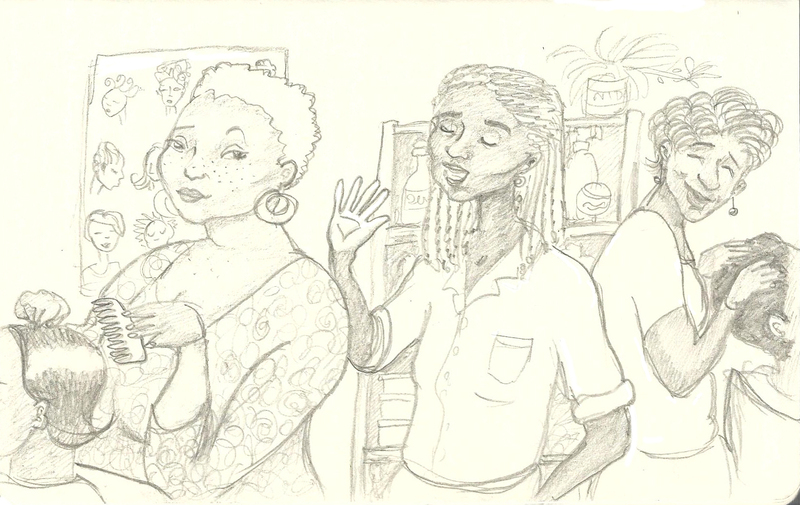 This sketch was inspired by some hairdressers we interviewed in 2012 in Mirerani in Tanzania. Mirerani is a frontier-flavour mining town – the origin of all the world’s tanzanite, a precious stone. Our partner organisation was finding out about the social impacts of the tanzanite companies – and small-scale miners. Our interview with some women at the hairdressing salon turned into a major streetside spectacle.